Jose Thettayil MLA, Kerala politician profile and biography is given here. Being a member of Janata Dal (Secular), Jose Thettayil is a trade unionist and advocate. He served as the ex- minister for Transport in the Government of Kerala. He currently represents the Angamaly constituency in Ernakulam district in the Kerala Legislative Assembly. Read more to know about Jose Thettayil. Jose Thettayil was born on 17 August 1950 at Angamaly as the son of Thomas Thettayil and Philomina. After completing his school education, Jose completed B.Sc. degree in Zoology from Sree Sankara College, Kalady. He later had done Bachelor of Laws (LL.B.) degree from Government Law College, Ernakulam. Interested in politics, Jose started his career being a member of Kerala Students Union (KSU), the student wing of the Indian National Congress. 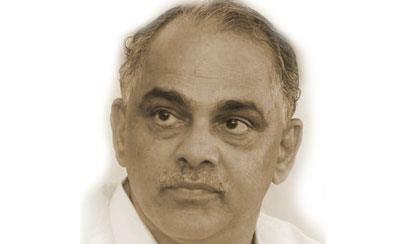 He served as the convener of the Youth Congress, Angamaly Constituency in 1973. During the emergency period in 1975, Jose was ousted from Indian National Congress. He joined the Janata Party in 1977 and elevated to the position of State committee member and later National council member of the party in 1980. He was later appointed as the Vice- President of the Janata Party, Ernakulam district in 1981. As the Union of Janata Party merged into Janata Dal in 1988, Jose continued as District Vice-President, State Executive Committee member and National Council member. He also served as the Chairman of Angamaly Municipality during the period 1989-90. Jose Thettayil was much energetic in social activities and also was the office bearer of many Trade Union Organisations. He also served as the Minister for Transport LDF Ministry led by Shri. V.S. Achuthanandan in 2006. Director of documentary film "All for God's sake"
Jose Thettayil started his official life as Lawyer in the High Court of Kerala in 1975. He also served as special prosecutor, senior government pleader (High Court of Kerala), Legal Advisor for Central government standing counsel, and Standing Counsel for K.S.R.T.C. He also had been the legal advisor of many Nationalised Banks and Insurance Companies.